Elliott Management has taken a $1 billion stake in EMC(s emc) and would like the storage kingpin to break itself apart to unlock the proverbial shareholder value, according to a Wall Street Journal report (registration required). Per the Journal, Elliott’s investment is about 2 percent of EMC’s total equity value of $55 billion and would make Elliott the fifth largest shareholder in the Hopkinton, Mass.–based company. EMC is the leader in storage systems but has seen that power base under siege by more nimble players that got into flash storage faster than EMC did and don’t have to protect an aging base of disk storage the way EMC does. Perhaps more dangerous is the fact that customers or would-be customers are increasingly turning to inexpensive cloud-based storage rather than buying more storage gear for their own server rooms or data centers. Many companies of all sizes are putting data in Amazon(s amzn) Web Services, Microsoft(s msft) Azure, Google(s goog) Cloud, Rackspace(s rax), etc. Some of those cloud purveyors may use some EMC gear, but somehow I doubt it. 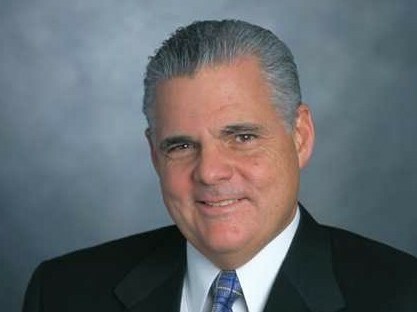 But it’s not as if EMC CEO Joe Tucci didn’t see challenges coming. Over the past decade he built a “federation” of semi-independent companies, including VMware(s vmw) in virtualization, RSA(s rsa) in security, and Pivotal in software development and deployment. EMC’s 80 percent stake in VMware, for example, has helped offset declines in its core storage business. The question of whether VMware would be more valuable as an independent entity crops up every year or so. Now Elliott appears to be arguing that keeping VMware aligned with EMC not the most profitable option. Elliott, a hedge fund company, is known for shaking things up, and for perseverance. For example, it’s engaged in a ten-year (!) lawsuit against the government of Argentina over how that country handled restructuring of its debt. Its argument now is that breaking up EMC would provide shareholders more return — that the piece parts are worth more separately than they are as part of a semi-unified whole. Jeff Matthews, general partner at hedge fund RAM Partners (which has no interest in EMC) has been watching Elliott over the years and is impressed. In the tech sector, Elliott has been agitating for big changes at Riverbed as well. An EMC spokesman said the company will always meet with shareholders. Elliott Management declined to comment. Note: this story was updated at 9:52 a.m. PST with EMC comment.